One of the world’s most successful brands committed ideological hara-kiri this week. Recognized around the world as a symbol of manly civility for more than a century, Gillette will now be remembered as the company that did itself in by sacrificing a massive consumer base at the altar of progressivism. In case you hadn’t seen or heard, parent company Procter & Gamble launched a Gillette ad campaign blanket-demonizing men as ogres and bullies. Guilt-ridden actors gaze ruefully at their reflections in the mirror — not because they’ve neglected their hygiene, but simply because they’re men. Various scenarios of boys being boors and males being monsters flash across the screen before woke interlocutors show how “real” men behave in nonaggressive, conciliatory and apologetic ways. 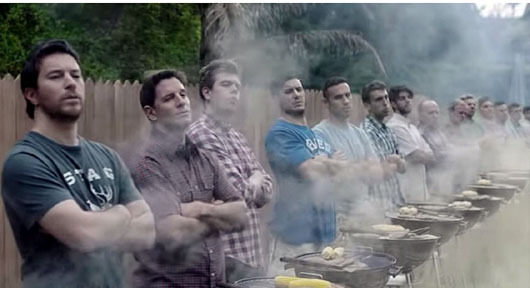 At home and at work, in the boardroom, on the playground, and even while barbecuing in the backyard, Gillette sees nothing but testosterone-driven trouble. Message: Y chromosomes are toxic. The “best a man can get” can no longer be attained without first renouncing oppressive manliness. Michelle Malkin is a columnist for WorldTribune.com and host of “Michelle Malkin Investigates” on CRTV.com. Her email address is writemalkin@gmail.com.